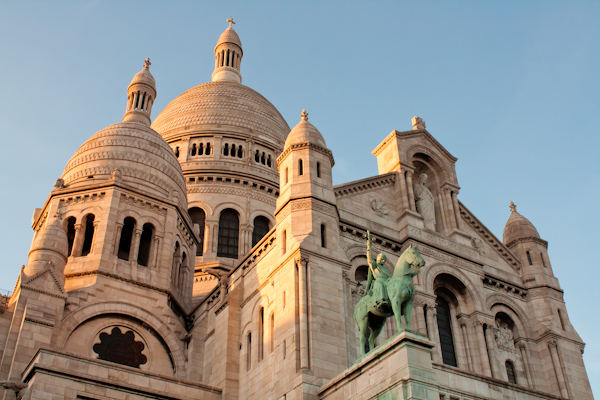 There is no better time to visit the Basilica of Sacré Coeur, atop the Butte de Montmartre, than an hour or so before sunset, when the sun is low enough in the sky to cast on everything in its path that gentle golden glow but still high enough for the rays to hit the west side of the Basilica’s dome. Of course, you’ll take most of your best Paris photos in the first hour or two after sunrise and the last hour or two before sunset. Click here for Paris sunrise and sunset times.